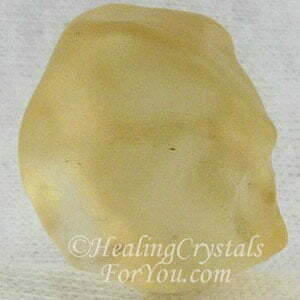 Libyan Desert Glass are highly protective crystals and are beneficial to strengthen your will. 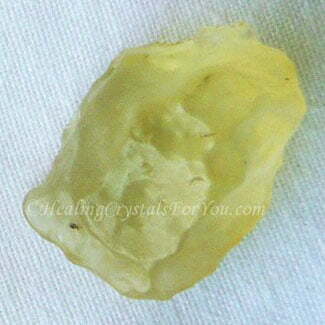 They are a lovely golden yellow color and are recognized as powerful manifestation tools. 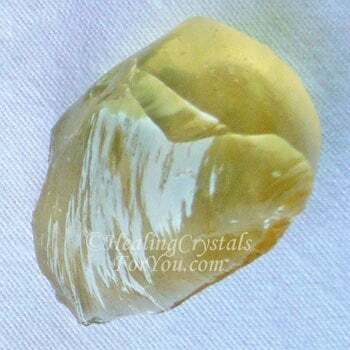 These unusual stones vibrate strongly within the solar plexus chakra, which is the seat of the will in the body, and they embody within them the vibration of the Golden ray, a powerful spiritual energy. 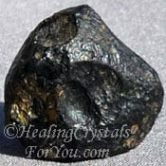 These crystals are also called Libyan Gold Tektite and have a good energy to guard you against any negative psychic energy being deposited in the solar plexus or in any other area of the body. 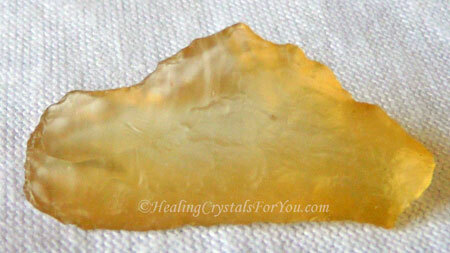 This area works as a psychic shield, and these stones help the process by creating a strong resonance in this area. 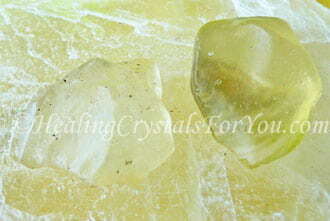 The metaphysical properties of these yellow crystals are very impressive. This is a helpful stone for those who feel that they do not belong on this earth, and who feel they may originate from elsewhere in the universe. The meaning of the name of these stones relates to the area where they are found in the Libyan Desert. They are located in only one particular area, in a specific region of the Great Erg or sand sea. It is said that there is an enormous amount of this yellow glass in that area, found between a series of dunes in the desert. The main area where most of this glass is found, is known to be a most inhospitable region, located near the Egyptian-Libyan border. 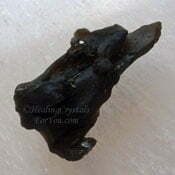 In some circles it is known as Libyan Gold Tektite, but we really do not know for sure that it is a techtite. Regardless of whether we know how it came to be created it is definitely a stone of ancient origin. How old is Libyan Desert Glass? This yellow glass has been dated by trustworthy scientists, and is said to be over 28 million years old. 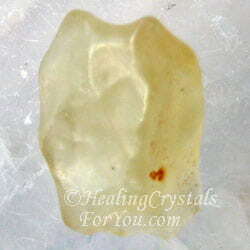 It is a very pure, silica rich glass, and many stones contain sand-dune particles within then. Some pieces are also reported to also contain iridium. Although it has been known about by the people of the Sahara Desert for thousands of years, western scientists only discovered Libyan Desert Glass in the 1930's. There has been some debate whether it came from outside the earth or was created by the heat of a meteoric event in the area. Although scientists have not found evidence that the stone is not of this earth, it would have been created by an enormous amount of heat. Libyan Desert Glass are energetically powerful stones. This may be because they embody the energy of the event that created them. This heat may have been generated by the crash of a meteor in that area 28 million years ago. Latest Note: there are yellow tumblestones selling under this name, and labeled from Australia, clearly they are not the same stone. 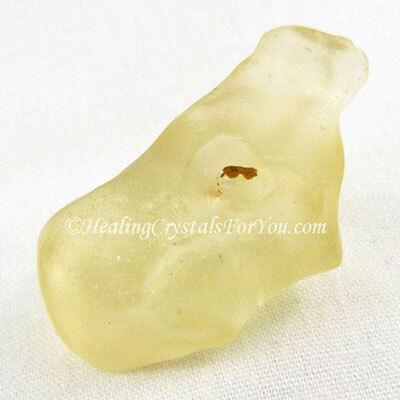 Libyan Desert Glass embodies a mystical energy that is a potent aid in ritual ceremonies, and they are known to help you to make contact with the higher vibrational realms. The color of the glass varies, as you can see in the image above, and these crystals can be very pale yellow through to a deep yellow. You'll find that the color has little bearing on the level of its energy. 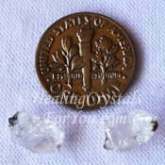 Because these stones have a very high vibration, and are said to enable you to make contact with extra-terrestrials, it is said that this contact is related to their likely extra-terrestrial origin. What Is So Special About These Crystals? This is a time of amazing spiritual changes and extraordinary energetic activations of our light bodies. The world is going through a time of transformation. There is a need for all of us to bring our vibrations up. 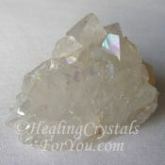 The high vibration crystal energy that these stones embody is highly effective to aid your ongoing spiritual journey. 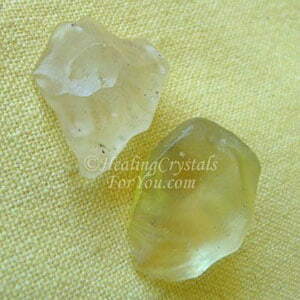 Light-workers using Libyan Desert Glass have found that these high vibration stones are a strong aid for ascension. 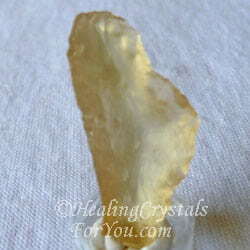 These golden yellow crystals are strong stones to use in meditation. They will aid past life explorations and are said to be able to enable you to make contact with beings from other dimensions, including extra terrestrial beings. 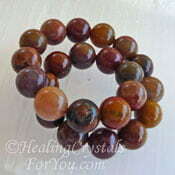 The vibration of these stones encourage the growth of your personal abundance and prosperity. 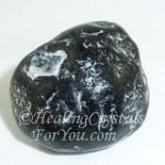 If it is for your highest good, these stones will also assist you to manifest an increase in money. These stones are now becoming available as jewelry, but they are not common. 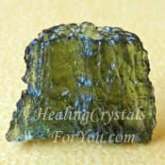 Like Moldavite, they will have a potent effect on you if you wear them for long periods of time. By wearing the stone you will immerse yourself in this amazing energy and it may allow you to make gigantic leaps of consciousness. 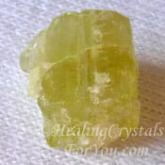 Because Libyan Desert Glass vibrate strongly within the solar plexus or power chakra, they will guard you against any negative psychic energy as they work as a psychic shield. These stones were part of one of the funeral necklaces of King Tutankhamen, and they believed it had magical or mystical energy. It is said that a piece of Libyan Gold Tektite was carved into an amazing piece of jewelry, as they believed that the energy of the stone would give King Tut greater powers to use in the afterlife. There are some very powerful ways to use these stones. One of the best ways to use them is in a meditation using crystals, when they may aid you to access the Akashic records. 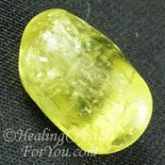 Pieces of this yellow glass have a potent energy that may be used to aid you if you are performing any type of ritual ceremonies, especially relating to past life issues. 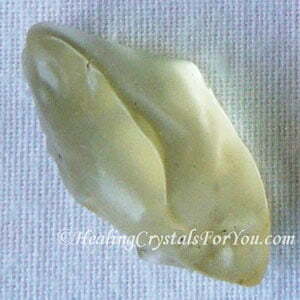 Libyan Desert Glass has an amazing vibration that may free you from deep karmic issues. This may be most relevant if you believe that you may have had a past life in the area of Egypt, Libya or any countries in that region. The ancient people of that area, had many very strong beliefs associated with their religions and their beliefs about the after-life. Associated with these beliefs, at various times in the past, many people had powerful magical enchantments or spells placed on them, by very powerful shamans. Libyan Desert Glass may enable you to break the binds of this past life sorcery. Why Would You Use Libyan Gold Tektite? 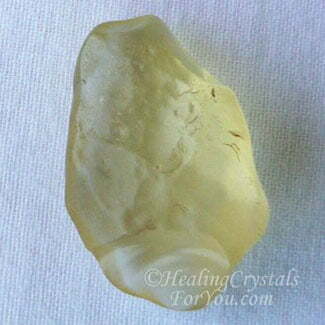 Within the solar plexus chakra, this stone has a potent, positive resonance, that makes them a very useful psychic protection stone. 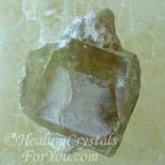 This vibration prevents negative psychic energy accumulating in this area. It helps to stop energy thieves from stealing your energy as it creates a strong barrier to prevent these types of negative events. Within all of the higher chakras this energy is deeply spiritual. It is a strong stone within the sacral chakra to enhance or increase creativity and may stimulate those with the gift of clairsentience to have stronger gifts. 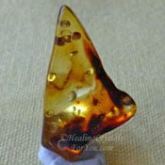 They have impressive metaphysical properties to aid manifestation of abundance and prosperity. 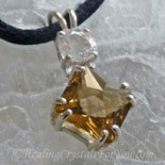 The high vibration crystal energy within these golden stones is highly effective to assist your ongoing spiritual journey. 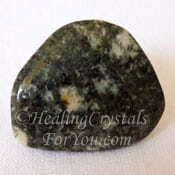 They are highly protective and so they are extraordinarily beneficial stones to utilize in your life at this time. 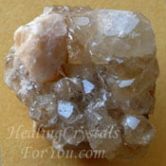 For light-workers who are going through this time of transformation, the powerful spiritual energy of the Golden ray that is embodied within these crystals is a strong aid for ascension. At this is a time of extraordinary spiritual changes and strong energetic activations of the lightbody, there is a need to reconnect to ancient knowledge. This mystical energy aids those who feel that they do not belong on this earth, and who feel they may originate from elsewhere in the universe. It will open up your spiritual vision to allow you to experience deeper spiritual awareness and may aid learning by stimulating your mental abilities. 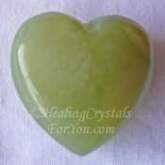 It has a strong resonance within both the heart and thymus or higher heart chakra, imbuing you with a sense of happiness, joy and love of life. 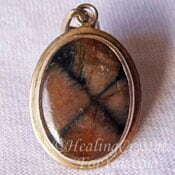 If you are a healer, wearing this stone may be beneficial. You may use its energy to ensure that you do not absorb any of your clients negativity, associated with their illness. 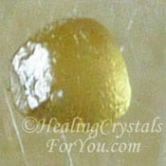 The golden light this stone emits energizes and enlivens all of the chakras below the heart. This creates a stronger flow of life force energy throughout the body. Libyan Desert Glass healing properties relate to its effectiveness within all of the lower chakras, where its golden light is known to be highly efficacious. Although it has a strong resonance within the solar plexus chakra, this stones energy is potent within all of the chakras. 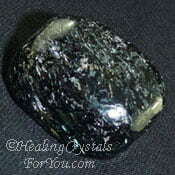 It has powerful healing aspects that make it an excellent stone for crystal healers to use to aid their clients. Its healing energy is known to be especially effective to heal a range of stomach issues, including irritable bowel syndrome. Libyan Desert Glass are helpful grounding stones, as they take any excess spiritual energy down to the earth star chakra for grounding. "Why do you hasten to remove anything which hurts your eye, while if something affects your soul you postpone the cure until next year." Horace. The crystal books that are shown below, are all very in-depth crystal reference books. The books by Judy Hall, the ones by Cassandra Eason, and the ones by Robert Simmons and Naisha Ahsian, are all excellent books that are valuable to have on hand. All of the books cover a good number of crystals, and are well-written and easy to understand. 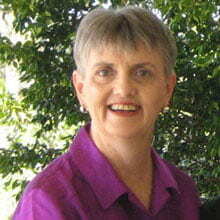 Check out my book review page, where you can learn more about what each book is about. It now has a special section on books for those new to crystals so take a look. Simply Click Here to read reviews of my favorite books about crystals. 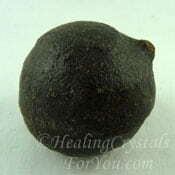 These are high vibration stones, and they will have a potent effect if used alongside other high energy crystals. Using either Guangdong Tektite, Tibetan Tektite, the dark green tektite Moldavite, Darwin Glass, Aurora Quartz or Phenacite with this stone may aid you to further your personal transformation, and may move you to a totally new level. 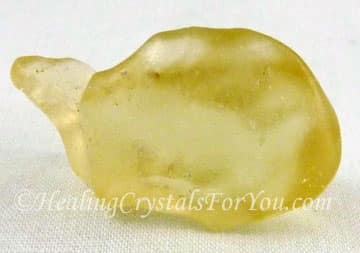 Any of the solar plexus or power chakra stones, and particularly the lovely Golden stones will strongly benefit by the addition of Libyan Desert Glass. 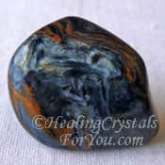 It is a highly effective manifestation stone, and its vibration will assist any other manifestation stone to work more effectively. Particular stones that you could combine with it might be Brazilianite, Yellow Sapphire, Citrine Crystals, Amber, Yellow Apatite, Chalcopyrite, Cassiterite or Pietersite. The place in the higher realms where past life information can be found is known as the Akashic records. You might use it with other stones that may aid you to access to the Akashic records, including White Heulandite, Petrified Wood, Shaman Stones, Preseli Bluestone, Cavansite, Goethite or Chiastolite. 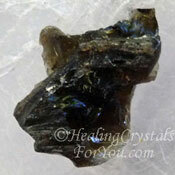 Used with Nuummite, they may aid you to release any strong karma that may be blocking you from your highest good. 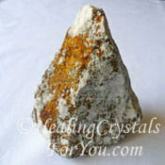 These stones may enable you to break free from restrictions placed on you in a past life. 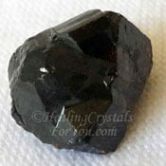 If you are ready to face whatever deep dark past life secrets that may be holding you back, you may choose to use them with Nuummite to aid the process. Other stones that may benefit by the vibration of Libyan Desert Glass include Cerussite, Prehnite, Apache Tears and Vesuvianite also known as Idocrase.